Kaj Kindvall is a Swedish radio host since 1970. He hosted music programs (Tio i toppen, Poporama and Tracks among others) that played an important role in Swedish music history. In 2003 he got a Swedish Grammy, the jury’s honorary award for his work at the radio and spreading pop music. His last program after working for more than 40 years at Swedish Radio is on 27th December, at 18:30 CET on P4. It will be a summary of the past 40-45 years and besides his colleagues and listeners, artists will also talk about what “Tracks” and Kindvall himself meant to them over the years. 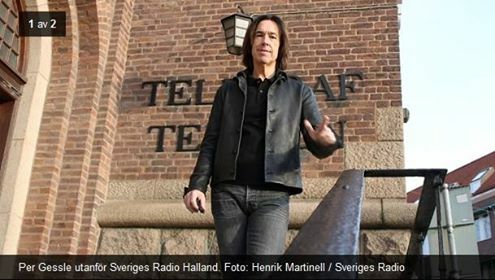 Per Gessle will also talk about his thoughts and memories related to Kaj and his programs. The part with Per was probably recorded last Saturday, when he visited the radio’s studio. So tune in on 27th December to listen to him!